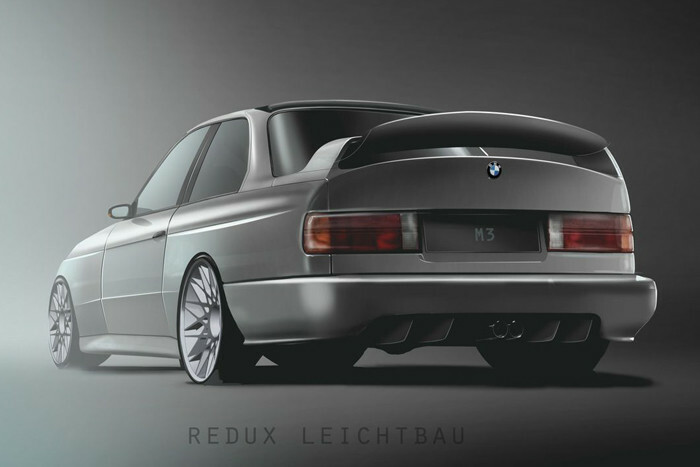 With MotorStars continuing to fill the world with engaging reviews this weeks Sunday Supplement just had to support their Redux Leichtbau E30 M3 piece. Enjoy. 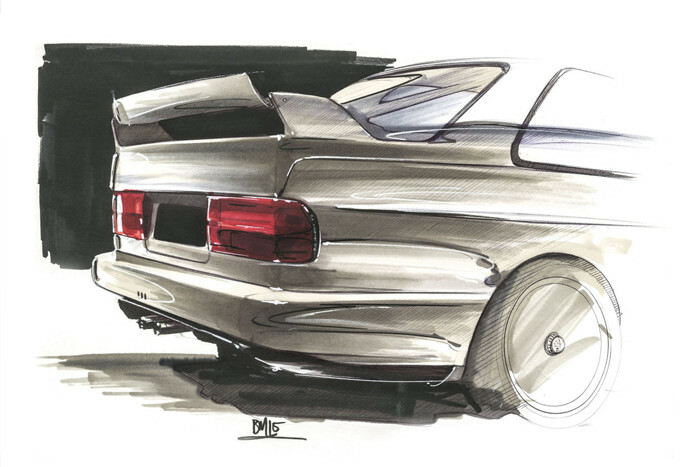 It is sometimes hard to believe that the BMW M3 first entered production three decades ago. The original E30 M3 is regarded by many as the pinnacle of the BMW Motorsport Division catalogue of work, which is saying something when you look at the cars that they have created over the years. Highlights such as the E46 M3 CSL, 1M and E60 M5 show that even in more recent times they have been at the spearhead of high performance excitement. Earlier this year you could have bought a E46 M3 CSL, E60 M5 and 1M for a total of around £100,000, yet the E30 M3 Evolution II model now changes hands for over £100,000 alone. You do not have to search very hard to find footage of road and track tests, or articles from any respected automotive magazine to see which M3 invariably comes out on top. Simon Lord, is the creator of what he believes is the next big thing in classic cars, an E30 M3 made with today’s know-how. Lord and his partner Neil Yates of Rally Prep have produced the Redux E30 M3 Leichtbau: a re-engineered BMW E30 M3 that has the power to weight ratio of the latest Porsche GT3 RS, employs bespoke mechanical components and unique body panels. It should look, quite simply, stunning. It’s all there in the name redux/ leichtbau, which translate to ‘revived/lightweight’. 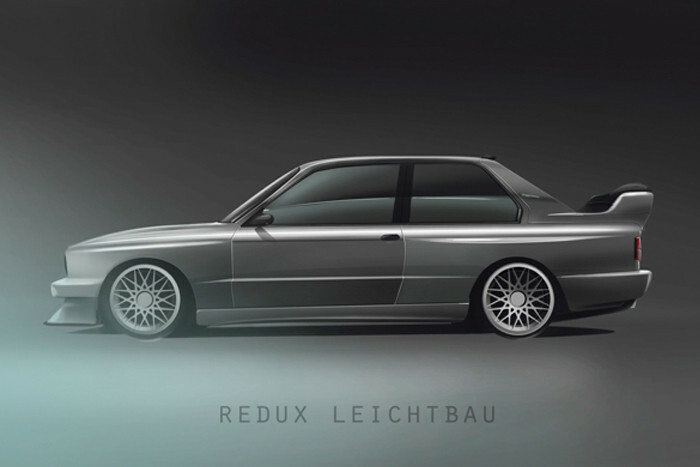 BMW M3 E30 Redux Leichtbau-2Each Redux Leichtbau is based on an original E30 M3 donor car. Simon and his team strip the donor to component level and rebuild each car from the chassis up, with a newly-designed carbon fibre body, bespoke interior, with mechanicals developed from DTM and contemporary race systems. Even the dials will be modified, inspired by the Bamford Watch Department’s treatment of Rolex watches. Customers will be able to tailor the build to suit their tastes, in terms of equipment, performance and comfort. Lord says that owners can “…add a half or full cage—every Redux Prototype is stitch welded and gusseted as standard—with sport or carbon Recaros, and choose a more minimal race-like cabin or one with a more refined feel”. Standard specifications include a host of racing-inspired changes under the surface, including Group A-inspired front and rear suspension assemblies and AP Racing calipers and disks.” It doesn’t stop there, “as Leichtbau is part of the company name, we’re saving weight wherever possible too, so aluminium wheels can be upgraded to magnesium, carbon panels replace the steel originals… the list goes on,” he says. 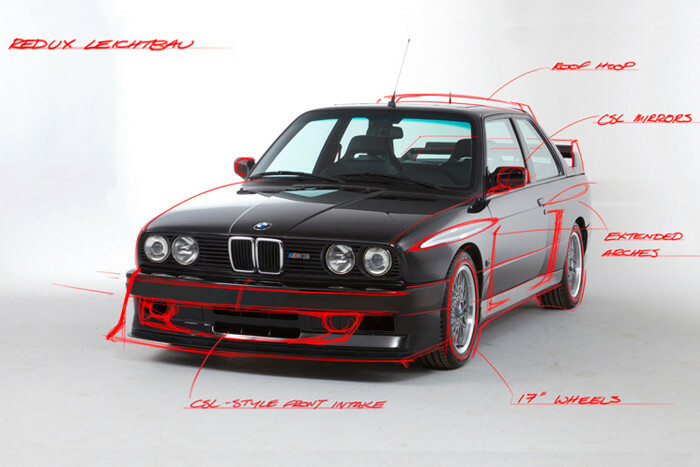 BMW M3 E30 Redux Leichtbau-6The design team that are responsible for subtly restyling the iconic E30 M3 include Toby Mellor, Bujar Muharremi, and Clive Hartley. They will have to hide the wider track and give the new car a more purposeful stance. 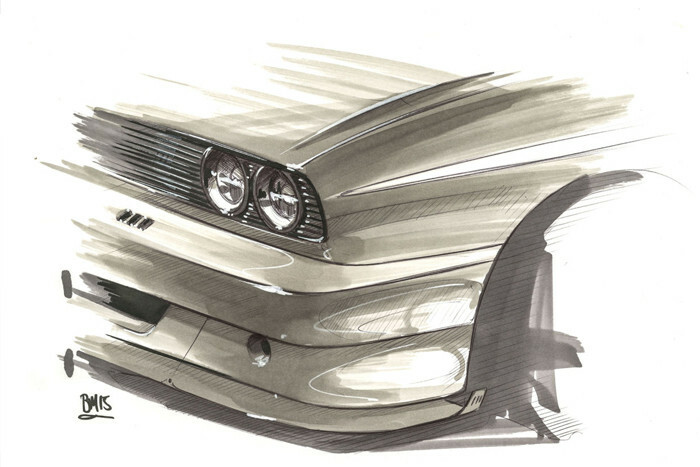 The renderings you see here were done by Mellor and Muharremi, and, Lord says, represent what they think the E30 M3 would have looked like had BMW continued evolving it after 1992. The original 2.3 litre S14 engine unit will remain but undergo significant modifications, including being enlarged to 2.5 litres and fully uprated to specifications developed by KSP Engines, including a Bosch ECU,custom cams, custom AP wiring loom, custom billet steel crankshaft, connecting rods, forged pistons, valves, and ceramic-coated manifold. At hand will be a six- speed H pattern gearbox with quick shift gear lever assembly, single plate paddle clutch, carbon propshaft, and LSD diff conversion. Turbo charging will also be included on the option list, which will produce in the region of 300 bhp per tonne – similar power to period M3 DTM cars. For more content like this visit MotorStars website and download the Magzter app.